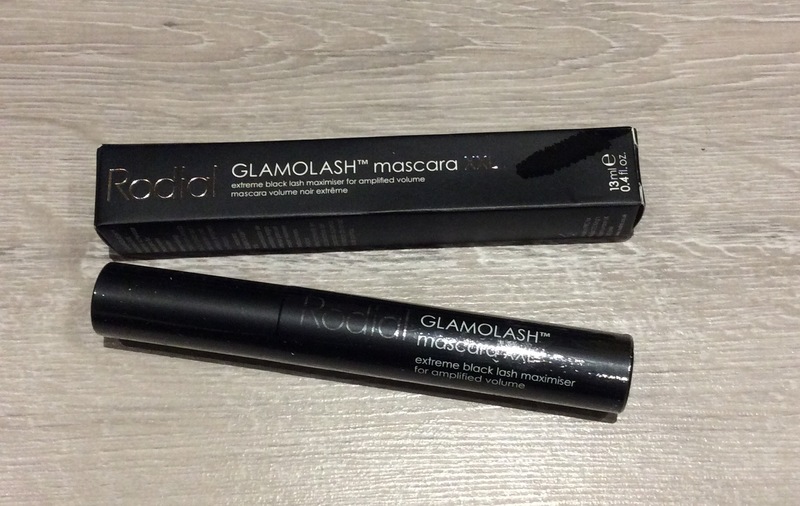 RED = £4.30 – Free Rodial Glamolash Black Macara (13ml – Full Size worth £24) – two free L’Oreal samples also included within magazine as well. 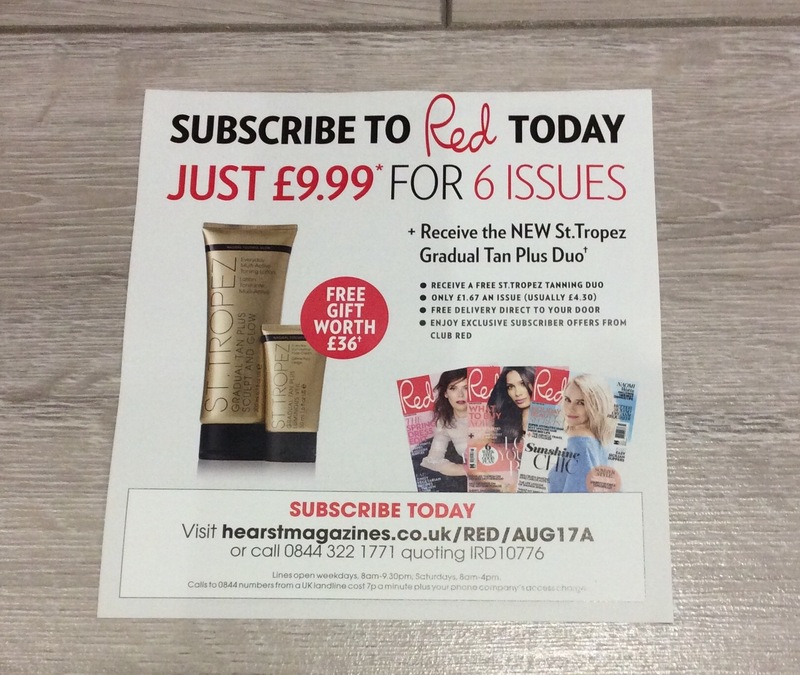 Subscribe to Red for £9.99 for 6 Issues by Direct Debit and you will get a free St Tropez Gradual Tan Plus Duo (worth £36) with subscription – (see photos below for details) – always usually an offer on so if this particular offer has finished just check online for other offers. 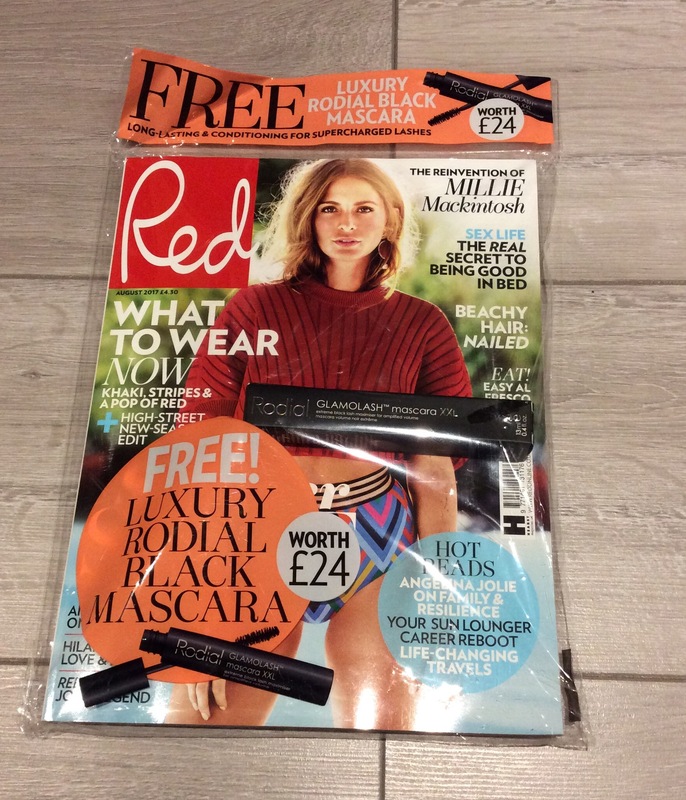 Although no free gift with subscription, when you subscribe to Good Housekeeping this month you can get five issues for just £5 – saving of £17 on the cover price – always usually an offer on so if this particular offer has finished just check online for other offers. 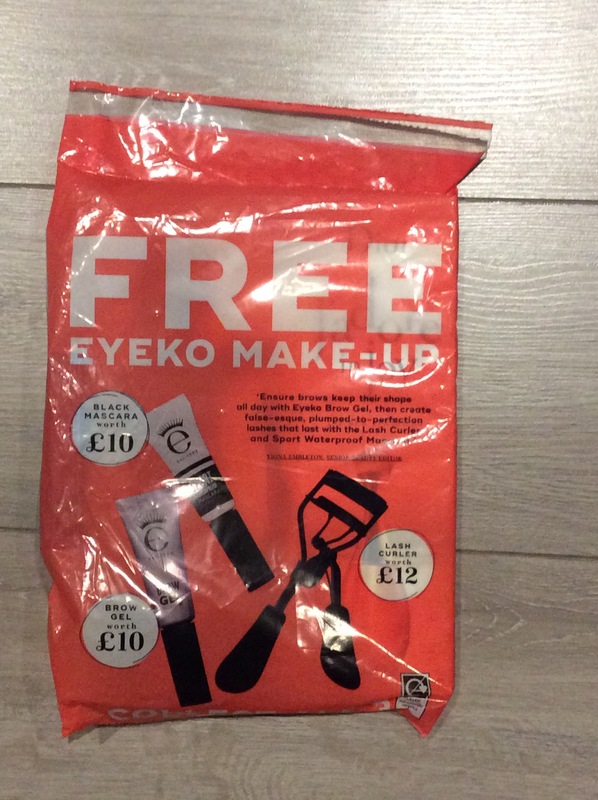 Marie Claire = £3.99 – Choice of 3 Eyeko Products free this month – choose either Brow Gel, Black Mascara (both worth £10 each) or Lash Curler (worth £12) – I chose the Brow Gel – two free Toni & Guy sample sachets and fragrance slip included within magazine as well. 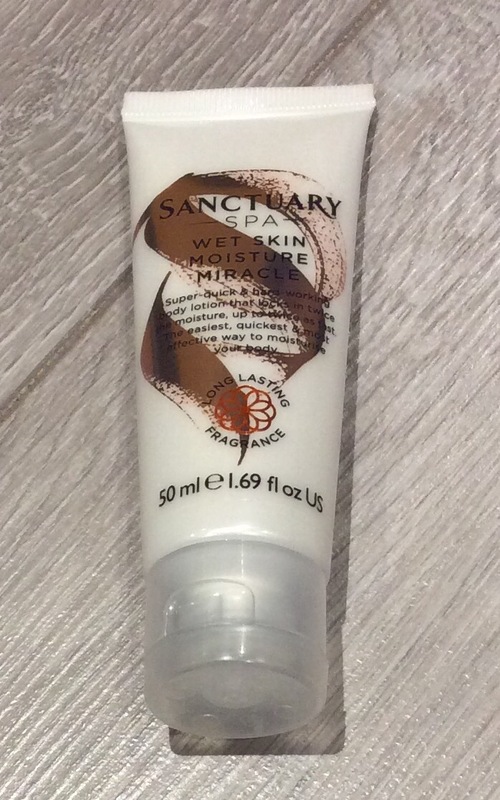 Bazaar (£4.60 August Issue) still not available in my local stores but remember the following choice of three L’Occitane products free with the August edition – will include photo once I get my copy / free gift. 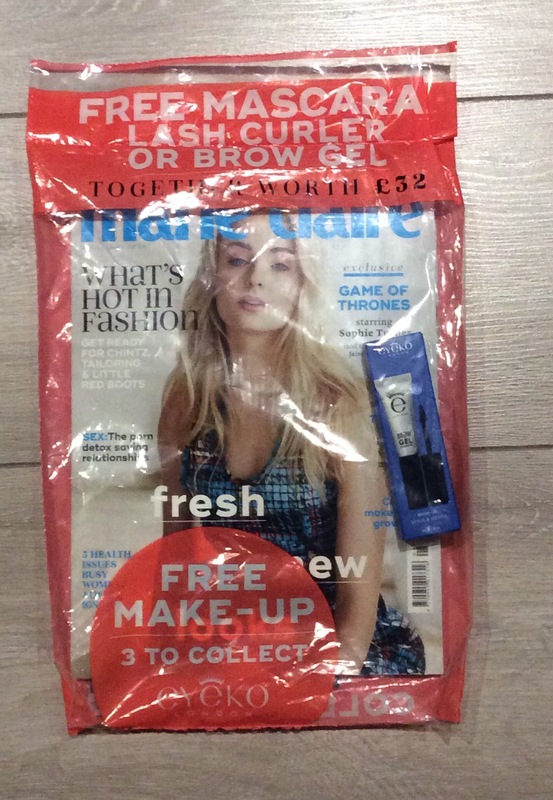 As advised previously each month I will update each month’s magazine freebie post when I see additional magazine freebies or when relevant offers become available. 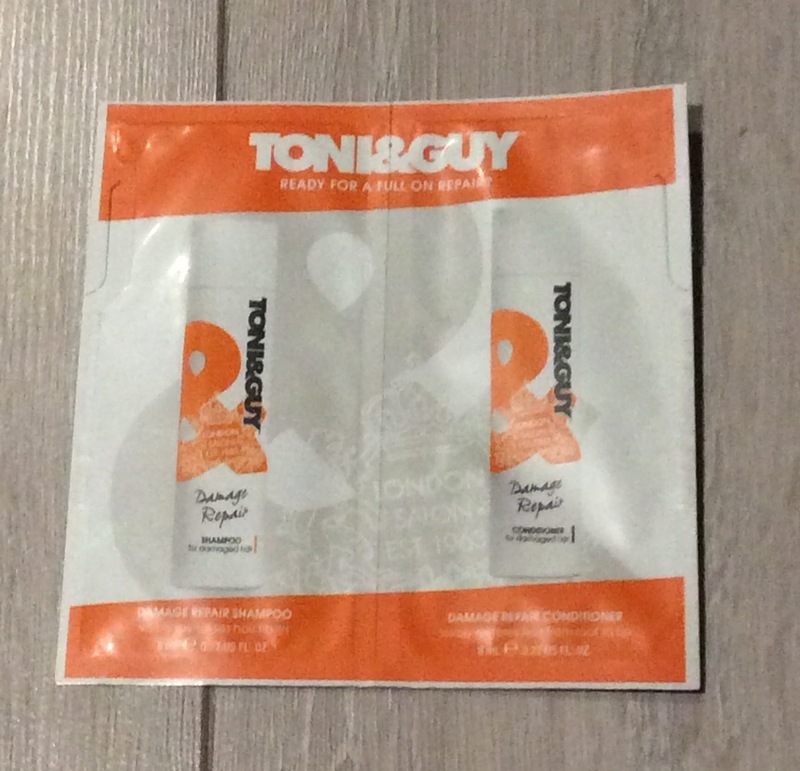 (once again a reminder for any new followers, that magazines always dated a month in advance i.e. 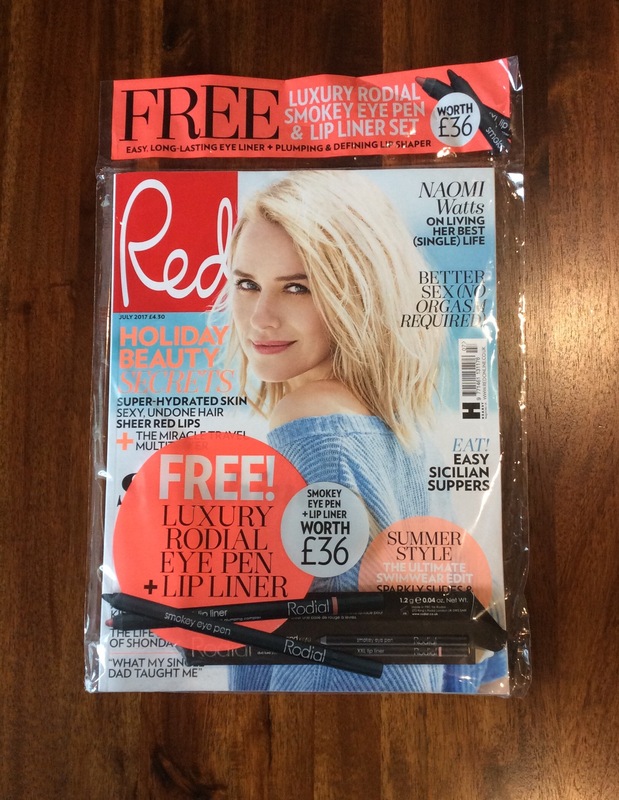 you get the August issue in August). 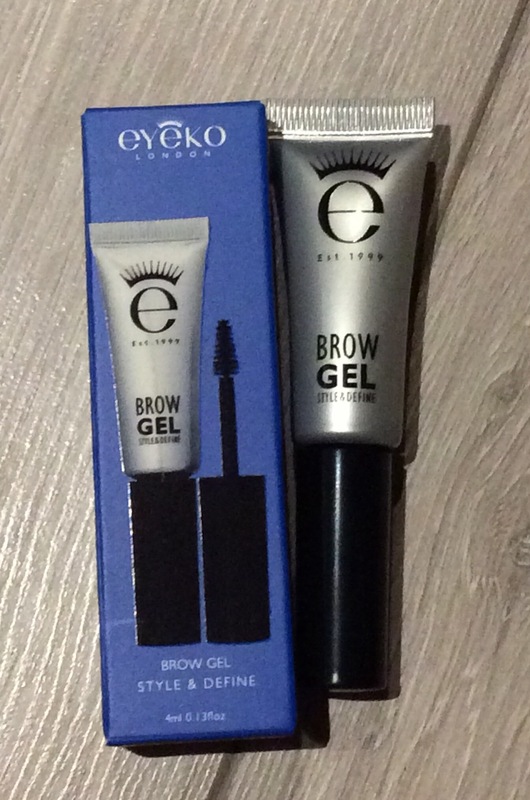 Hope this helps – any comments / queries please let me know. 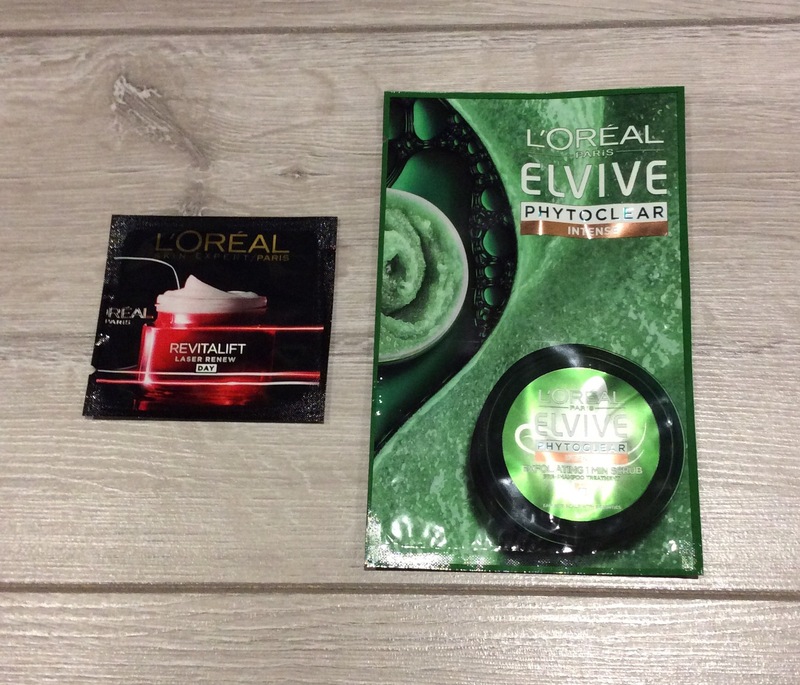 If not already subscribed / following my blog would love you to follow – would mean a lot.